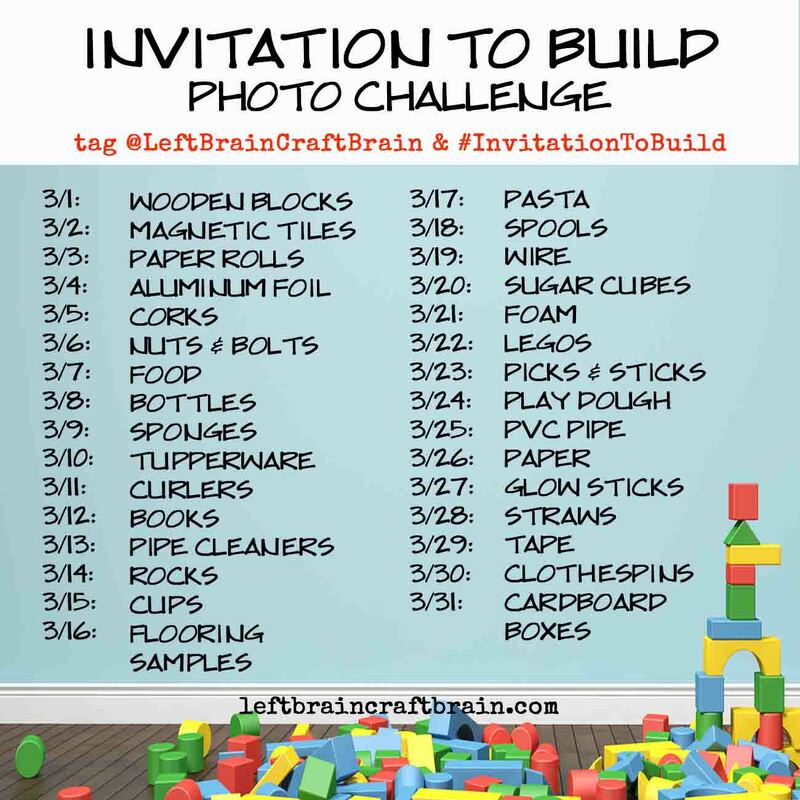 I’m starting a new Instagram photo challenge on 3/1 called Invitation to Build. It’s all about inspiring kids to architect their own play with unusual materials. 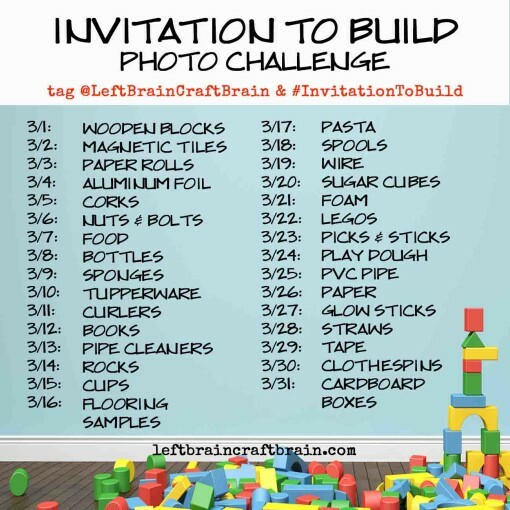 I’m hoping to have all of you join in on Instagram by posting pics and tagging @leftbraincraftbrain & #InvitationtoBuild. But most of all, I’m hoping to get a master list of your amazing building posts. So please add your links in the linky at the bottom. This will go into my post on 3/1 as a resource to readers. And will become a mega round-up at the end. Add your building activity links!